Knowing the make-up fabrics would guide you towards selecting the right type of shirt for the right occasion. The perfect shirt comes about from the careful combination of quality materials, awesome design and constructed by a skilled craftsman to give you the right fit. In most cases, the fabric of the shirt is a function of the weave. The weave is the way in which the threads of cotton called warp and weft are actually put together to make a fabric. Different techniques create different properties in the fabric. Explained below are the most common types of fabric and the occasions they are used for. 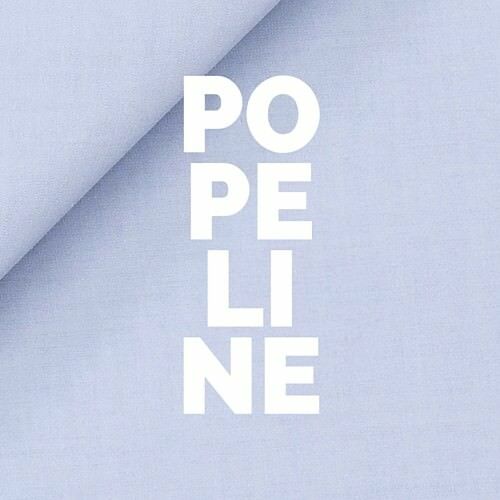 The term poplin originates from papelino, a fabric made at Avignon, France, in the 15th century, named for the papal (pope’s) residence there, and from the French papelaine a fabric, normally made with silk, of the same period. Modern poplin is a plain weave, which means the threads alternately cross over and then under each other, with a vague striped appearance. A strong, very smooth and durable fabric that has an almost silky hand feel. The term may refer to a light wind called Zeffiro. 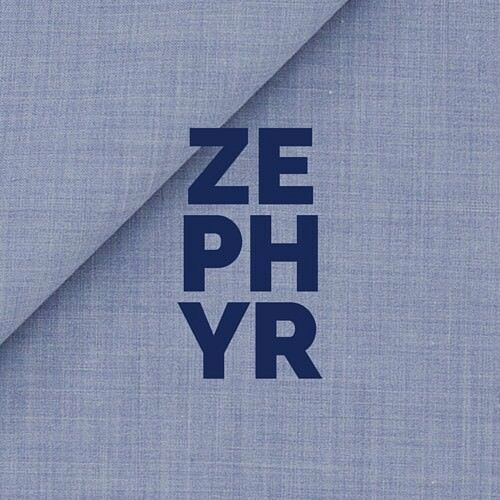 The Zephyr is an extremely lightweight and breathable fabric with a square construction, made with an almost equal number of threads per centimeter in warp and weft. Its special weave allows an extraordinary breathability and works perfectly with square patterns. Oxford is a basket weave where multiple weft threads are crossed over an equal number of warp threads. 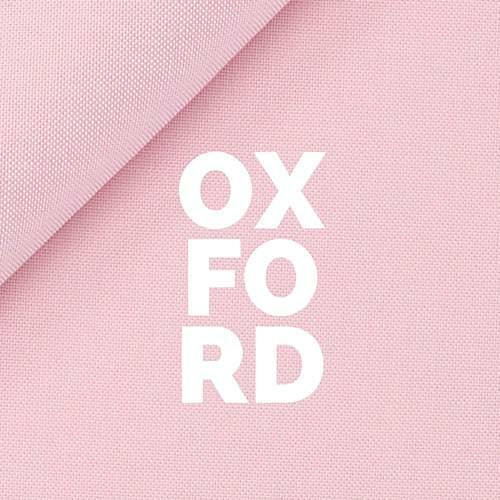 The threads are usually of a single color crossed with a white to give oxford its unique, checkerboard appearance. It has a slightly rougher texture but is more durable than most fabrics. Originally developed for sportswear, so it’s the least dressy, and (in some circles) not considered appropriate for office or formal wear. Overall, a tailored oxford cloth shirt is a wardrobe essential for its durability and versatility. It goes well with a chino or Jean, feel free to wear it to the office with a Jacket too. 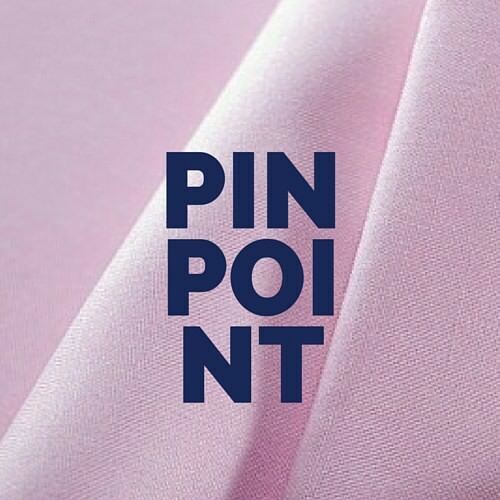 Pin Point is an Oxford spin-off fabric. The effect is a fairly grainy fabric with a weft that appears to be made by an infinite number pinpoints. 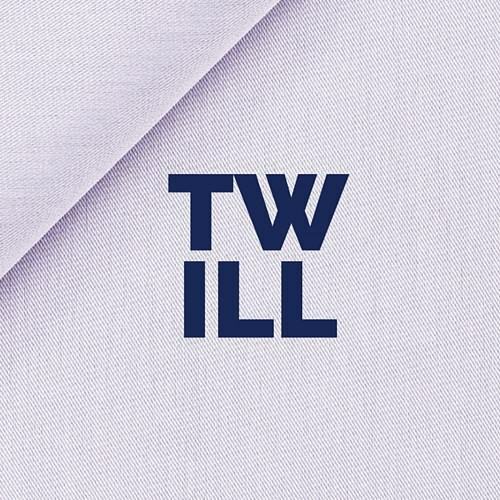 Twill fabric is easily recognizable because it will show diagonal weave or texture. It has a weft thread that runs over and under multiple warp threads. Because of the diagonal texture twill is really soft and will drape more easily. It won’t give you the same “crisp” look that some others can, but it’s relatively easy to iron and resistant to wrinkles. 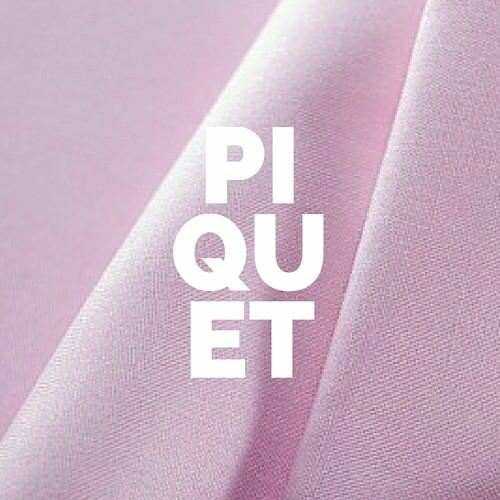 A dandy weave: warp threads, thanks to a higher tension, lower weft threads, creating the typical wavy effect of Piquet for a soft and highly detailed shirt. 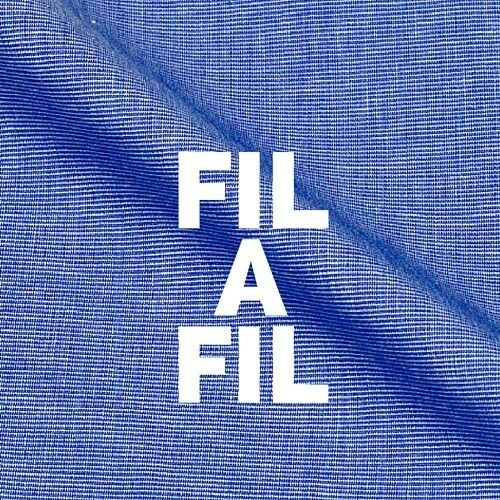 Called Fil-a-fil from the French for “thread-to-thread” it is essentially a poplin fabric but with one colored and one white (or other color) thread. This gives the fabric a micro striped or micro checked appearance. 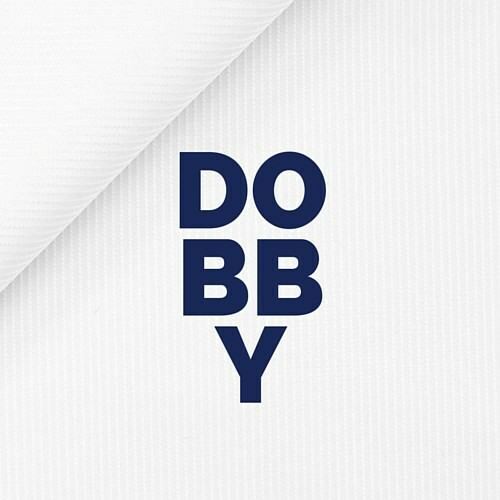 Dobby weave has unique geometric patterns into the fabric. The solid colors tend to have a faint stripe or dotted patterns woven in the same color as the base cloth. This is accomplished using a special loom that raises and lowers the warp threads individually. Extra patterns, extra charm. 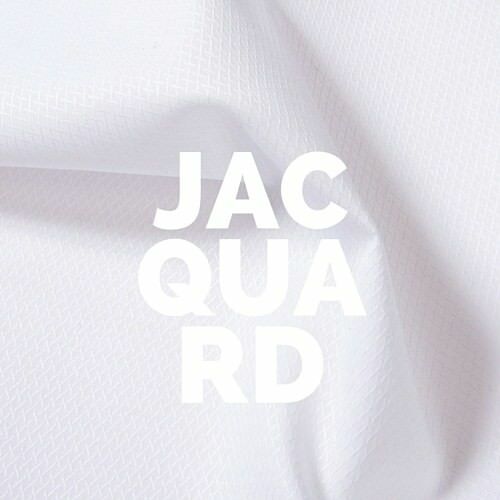 Jacquard weave is created using a specific loom designed to produce highly patterned fabrics. A touch of spontaneity for a chic casual look. 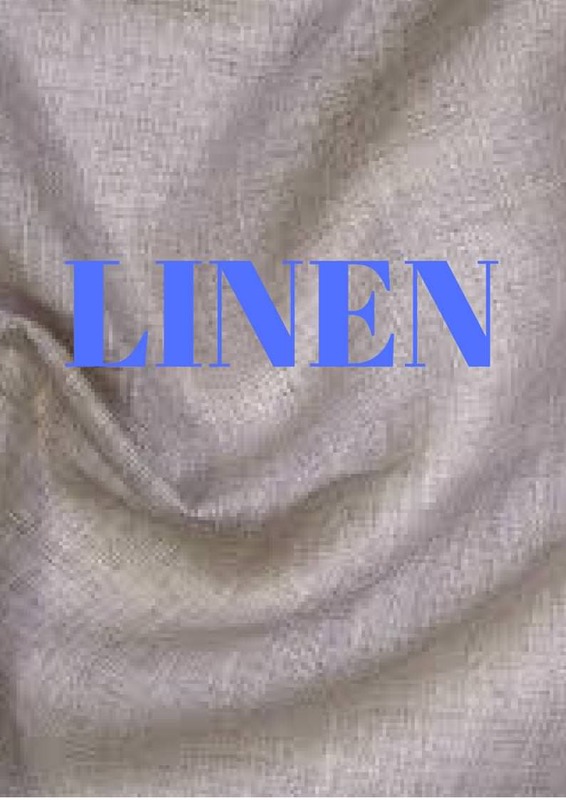 Linen is a fabric made from the fibers of the flax plant. Linens are very absorbent and are valued for their exceptional coolness and freshness in a weather such as ours. This is the right fabric for a fashionable and durable shirt. Ever assumed that someone was proud because his well starched shirt made it seem like the shoulders were permanently lifted? Starching is your ‘Frenemy’. We agree that it makes your fabrics look crisper when well ironed, and gives you a sharper more dignified look. But then, are there any drawbacks to the use of starch? It has been shown that the life-span of shirts might be reduced by constant starching. Depending on the frequency of usage, an average quality shirt should last 4 to 5 years in the wardrobe. This might be cut short by a year or 2 years. You should also note that not all fabrics and shirt styles require starching. For instance, blended shirts that are made of multiple fabrics don’t absorb the starch. Starching these fabrics causes more harm than good. Cotton shirts, on the other hand, may or may not require starching. You can choose between the light, medium or heavy starch to give your fabric a bolder appearance. Different fabrics have its unique way of washing it. The way to wash Linen is different from the way you wash a Zephyr. Some fabrics are hand- or machine-washable. Others may be washed using hot water or warm water. Knowing each fabric’s recommended way of washing will help to maintain the quality and the lifespan of the fabric. You should also consider pressing after cleaning. Different fabrics have recommended temperature it can withstand. For instance, linen should be pressed when damp because it can withstand higher heat when ironed. Silk, on the other hand, requires a low temperature steam iron. Getting to know the appropriate time to press your fabric after wash and the recommended temperature is vital in maintaining a quality fabric. 4. How do you package your fabrics? The way you package your fabrics is also crucial in maintaining a quality fabric. Jamming your garment into a small bag will make it become a wrinkled mess and gradually diminish its quality. Carefully fold or hang your well pressed fabric and place them in your wardrobe. Also, do not jam many fabrics into the laundry basket at the same time. Doing this can also diminish the quality of your garment. Professional dry-cleaning is an excellent option for those who are not sure of the right way to care for their garments. Fabrics are professionally washed, starched and pressed according to the manufacturer’s label. Some of the fabrics are washed with hot water and others with warm water. This is a good option if you are in doubt on how to care for your garment. You should make s.
Knowing the make-up fabrics would guide you towards selecting the right type of shirt for the right occasion. The perfect shirt comes about from the careful combination of quality materials, awesome design and constructed by a skilled craftsman to give you the right fit. In most cases, the fabric of the shirt is a function of the weave. The weave is the way in which the threads of cotton called warp and weft are actually put together to make a fabric. Different techniques create different properties in the fabric..